Please connect with us by subscribing below. You will receive details about how to get where we are and some health and fitness tips before and after your session. You receive an email to confirm you email address, we do this to make sure you are a human. Your personal information is just that – personal, so we always treat it with the highest standards of security and confidentiality. Book yourself in for a Taster Session. We have several taster sessions during the week. Scroll through the calendar, the Taster sessions are clearly marked. In this session we will introduce you to what we do, assess you ability and do a short workout. If you are already booked in go to STEP 3. Below Q&A deals with most common questions we receive. Have a read and let us know if you got any other questions or concerns. Do I have to be in shape before I can start at ChalkBox? No. 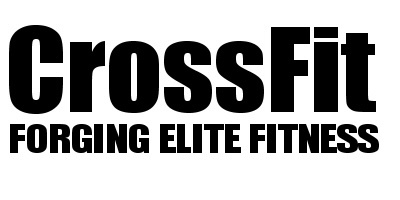 It will actually be more beneficial if you start CrossFit without any knowledge of how to exercise. You get to learn the important fundamentals right off the start. This will allow you to develop a great base. Exercising without coaching can lead to improper form, muscular imbalances, and higher risk for injury. You will be learning the basic functional movements, learn how to perform bodyweight exercises and weight training. We use kettlebells, barbells, gymnastic movements, Olympic lifts, elastic bands, sandbags, rings, rowers, medicine balls, bike, and more. I cannot run or do any of the movements I see in the workouts! Don't worry all movements are scalable and during your sessions your coaches will find a suitable movement your can perform comfortable and safely. Our aim is the keep you moving throughout the entire workout and as you are getting fitter you will be able to do more movements. Our members are very diverse bunch of people. They all come in different shapes, back ground, health issues and ages. However they have one common goal: get healthier and fitter! I can’t do a workout because I have back problems and/or knee problems. If you cannot Squat, Deadlift, Press you may need to start asking the question have you lost some of the most fundamental functional movements? Have no fear, 90% of the people at our gym cannot either! The WOD is made to challenge you! At same the workout is scaled to YOUR skill level. When you start, you will be doing a modified version of the WOD. We change the load (weights), repetitions, rounds, and distances to fit your abilities. Modifying the WODs will prevent you from over exerting yourself and prevent overwhelming soreness. Classes are approximately 1 hour. The first 15-20 minutes are dedicated to warm-up time, and mobility work. We then go over the Workout of the Day (WOD), cover movements and help you scale (if needed). Finally the group WOD is performed. This lasts between 5-25 min depending on the goal. The remainder of the time is left for cool-down or skill work. We program WODs Monday-Sunday. That doesn’t mean you need to work-out 7 days per week! For newcomers, we recommend two days on, followed by one day off. Once you are acclimatised to the training we encourage three days on followed by one day off for best results.